Reliam is a managed public cloud consulting and hosting service. Ensure a quality experience for their end users, even under extreme traffic loads like 100M pages views at a time. Reliam is a trusted consulting and managed services provider for public cloud platforms, including Amazon Web Services and Microsoft Azure. 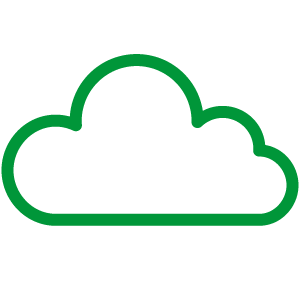 They support companies to expertly and securely architect, migrate, manage, and optimize their cloud environments freeing them up to focus on business and product development. Application availability is important both to the organizations that create the applications and to the people who use them. In today’s always‑on world where sites and apps can experience extreme or viral loads, managing traffic spikes and application uptime is critical. 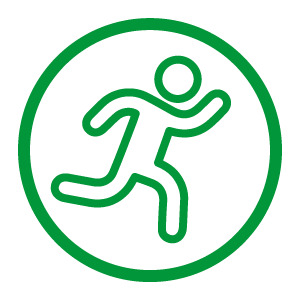 With 14 years of experience, Reliam knows what it takes to develop and maintain high‑performance and highly available applications designed for maximum concurrency and dynamically changing content. Reliam manages high‑profile Internet applications and events for some of the top websites and brands in the world, including the Oscars, the GRAMMY Awards, Miss Universe, and Nissan. 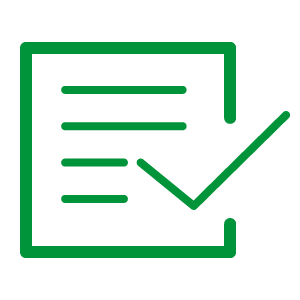 Its customers include digital and interactive agencies, global brands, and entertainment companies who want to ensure a quality experience for their end users, even under the most extreme traffic loads. Reliam manages applications that can easily handle 100,000,000 page views and over 60,000 simultaneous visitors in a short time. When application failure is not an option, companies turn to Reliam to deliver the highest level of performance and scalability. Reliam turns to NGINX Plus. “A lot of our customers’ applications see very large demand for very short periods of time. We need to make sure that we deliver their apps in a scalable, secure, high‑performance way. We found our go‑to solution with NGINX Plus,” explains Nate Johnson, Founder and CEO, Reliam. 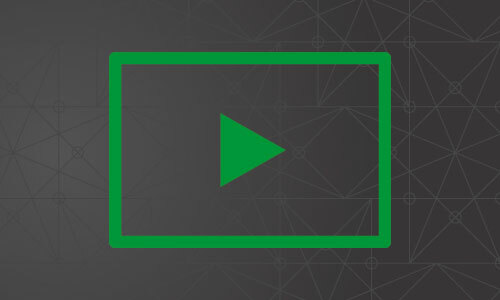 NGINX Plus provides Reliam and its customers a complete application delivery platform by combining web serving, load balancing, content caching, and media streaming into one package that’s easy to deploy and manage. With NGINX Plus, Reliam is able to help its customers ensure a quality experience for their end users, even under the most extreme traffic loads. 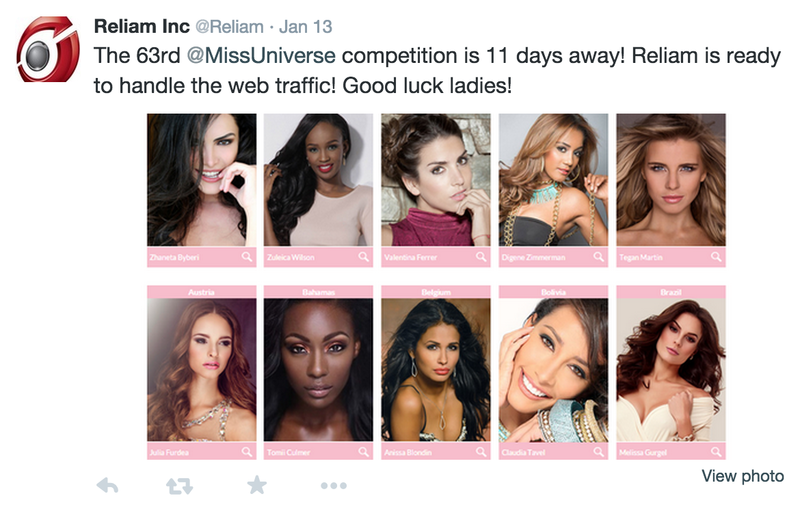 For example, Reliam used NGINX Plus extensively for the Miss Universe organization. As a caching layer, it was able to handle the high traffic load that came in during their large event. Reliam also used NGINX as part of its solution for Nissan’s 2015 Super Bowl ad campaign, “With Dad”. The application built to support this ad campaign was responsible for proxying users to YouTube and proxying tweets through their media platform. 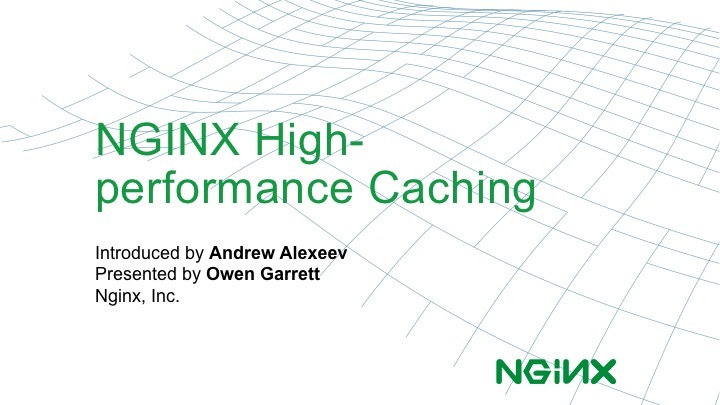 NGINX Plus was a critical part of the application architecture. In one specific case, Reliam had a customer who was unable to disable a cookie used to prevent cross‑site request forgery (CSRF) attacks. It was being delivered on all their pages as part of the content delivery platform that they were using. Reliam initially tried another cache offering, but when it saw this cookie, it incorrectly treated the session as unique to that user and did not cache the responses. However, Reliam’s customer had a lot of traffic and wanted to leverage their cache to provide a level of reliability for their application servers in case of failure. The customer wanted to serve cached content (even if it was stale) when there was a server failure, instead of returning an error to their users. They needed a caching tool that worked. Once Reliam configured and deployed NGINX into that role, it worked like a charm, and they were able to cache the sessions as expected. “If a deployment doesn’t specifically require Apache, then we don’t use it. 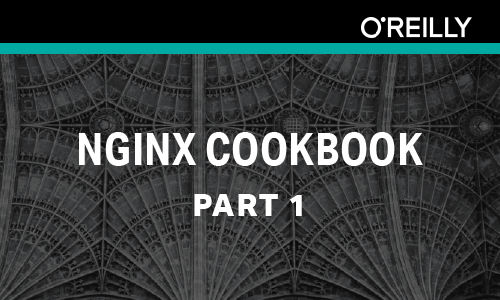 NGINX Plus is our first choice for delivering high‑scale applications, and is definitely a critical component of the architecture. 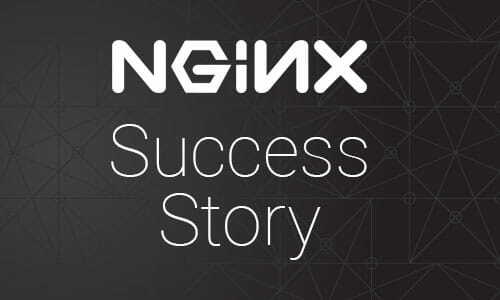 NGINX Plus helps our customers achieve peace of mind. They are making significant investments in their applications and large‑scale events, and NGINX Plus is able to deliver the high‑quality experiences they expect,” says Johnson. Founded in 2001 as RIS Technology, the company began by providing customers the ultimate platform for mission‑critical Internet applications. Drawing on the extensive experience of its senior Internet architects, RIS Technology perfected its methodologies and services to support some of the Internet’s most critical application and media events. In 2008, RIS Technology defined a new level of service – Internet Application Management. This new level of comprehensive service formed the basis of a new direction for RIS Technology, which became Reliam in 2009. Reliam is trusted by top studios, brands, and interactive agencies to deliver the highest level of performance and scalability for applications and media events. Reliam is an NGINX Partner, offering NGINX Plus as part of their solutions to customers. For more information, visit www.reliam.com.